Winning Shrewsbury Folk Festival Open Mic competition 2018, Chris Elliott (vocals, fiddle, guitar, bouzouki) & Caitlin Jones (vocals, whistles) are joined by Heather Sirrel (bass) & Edwin Beasant (melodeons, percussion), to make KILDERKIN a strong fresh new brew of traditional folk music. 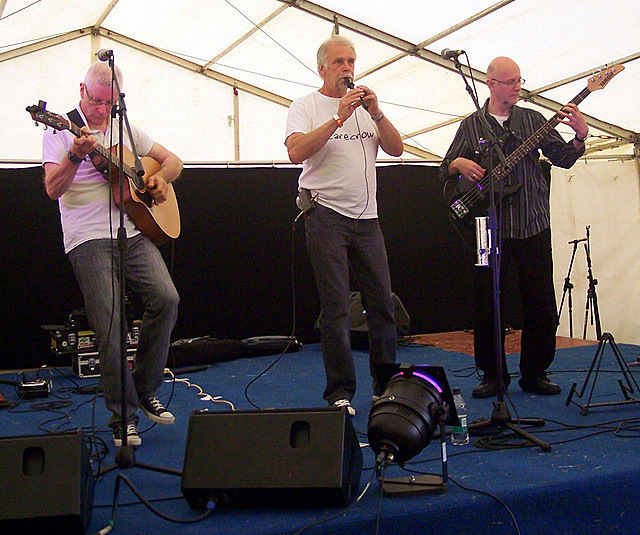 Scarecrow is an Oxfordshire based acoustic band that plays folk music but offers something a bit different: some instrumental music, some songs and occasionally a bit of jazz or blues. Some tracks are well known and others more obscure but all have been worked on to produce tight and unusual arrangements. 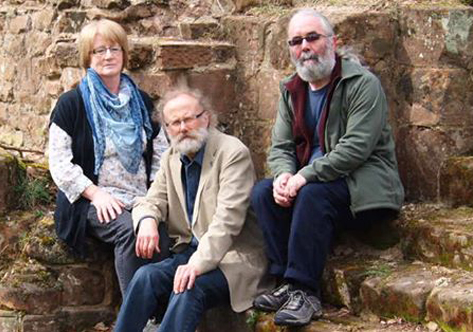 The band was formed at the end of 2006 bringing together folk, classical, rock and blues backgrounds to create a trio that doesn’t sound like just another folk band. Scarecrow is already gathering quite a following. 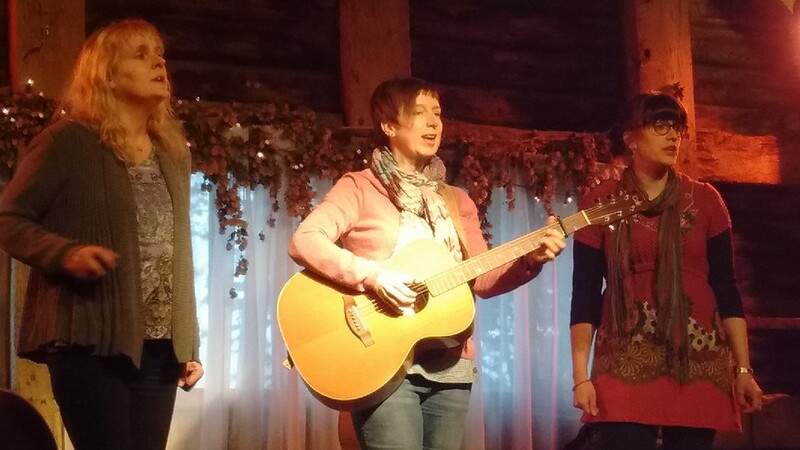 "We are a three voice unaccompanied harmony group singing traditional and contemporary folk songs, some music hall material, with some Early Music and humorous songs for good measure. Many of our songs encourage (even require) audience participation and we hope they get as much enjoyment out of it as we do"
Vincent Cross exemplifies the folk music tradition by writing and performing contemporary songs and ballads. Born in Ireland, raised in Australia, he was influenced by local traditional players in Ireland as well as inspired by the contemporary singer-songwriters he encountered on his travels through Europe. His respect for authentic mountain sounds and styles brought him to the attention of folk legend Odetta, and his adaptations of various roots styles distinguishes his distinct repertoire, as it draws on rare old tunes discovered in the field, and even more obscure recordings found on dusty record shelves. 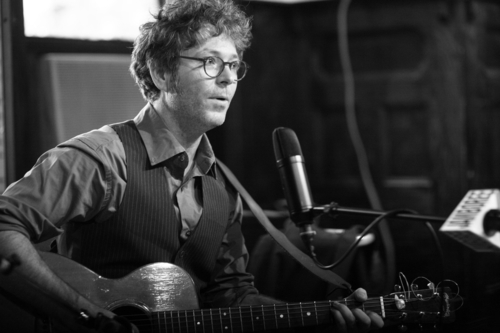 He has performed for and shared the stage with Glen Hansard, Chris Thile, Richard Buckner, and folk legend Odetta. He tours extensively in Europe, Canada and Australia, where he has performed at TelemarkFestivalen (Norway), The Hebridean Celtic Festival (Scotland). Stateside, Cross has performed at The Dripping Springs Songwriter Festival, and The South Florida Folk Festival. His recent release, Old Songs for Modern Folk, hit #2 in the Folk DJ album charts for 2016. Since forming in 2016, Daisybell have been making waves on the local and national folk scene, delivering performances of passion, wit and raw emotion at clubs from Coventry to Gateshead, Banbury to Sheffield, releasing an EP and a video, fitting in a couple of live radio apprearances and drawing acclaim for their “Sing Like A Daisybell” vocal workshops. 2017/18 saw the trio appearing at fesivals in Warwick, Broadstairs, Moira, Lichfield, Bromyard, Alcester, Bedworth and more. Lauded for their songwriting, harmonies and engaging stage presence, now is a great time to check out their gigs, recordings and social media banter. 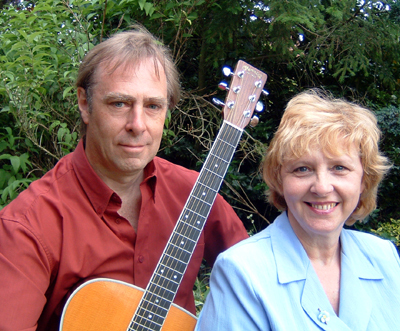 Based in Northamptonshire, Pamela Ward and Paul Cherrington have been playing and writing music for 30 years. From winning the Brewhouse Music prize in 1987 they have toured the U.K. and parts of the Middle East and Mediterranean. They have been session recording artists and studio guests for a variety of projects, including late night programmes The Early Show and Night Ride for BBC Radio 2 and commissioned work from Japan and Denmark. They are acclaimed song writers and finalists in international song writing competitions. 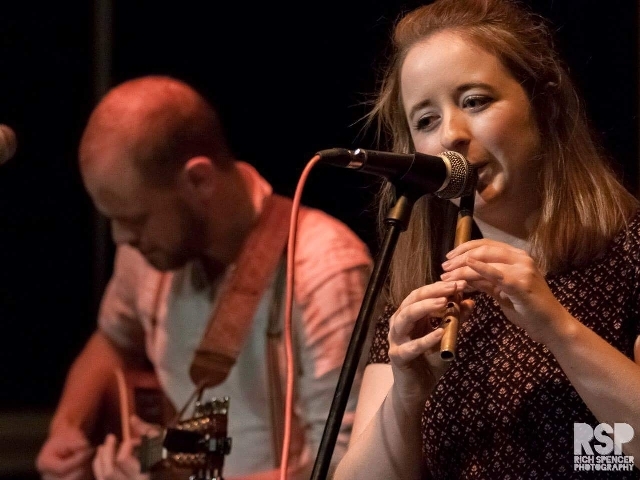 Some of their work has been recorded and performed by other artists on the U.K. folk circuit.